We produced favourable results in 2015, both operationally and financially. Significant events in the financial year included venture capital investments in the international MVM IV fund and in the Finnish Lifeline Ventures Fund III, and also direct investments in: LeadDesk (Venture Capital), Unisport-Saltex (Growth Investments), Kotkamills and Rauma Marine Constructions (Industrial Investments). Our fund portfolio and our portfolio of direct investments both performed well. There has been brisk activity in our investment operations in early 2016 also. We have invested in the Nordic Creandum IV fund, the cleantech company BMH Technology and the software providers Vaadin and M-Files, among others. We also signed an agreement with international and Finnish investors regarding investing in pre-school and day-care centre operator Touhula Varhaiskasvatus. We made new investments and commitments amounting to €93m in 2015. 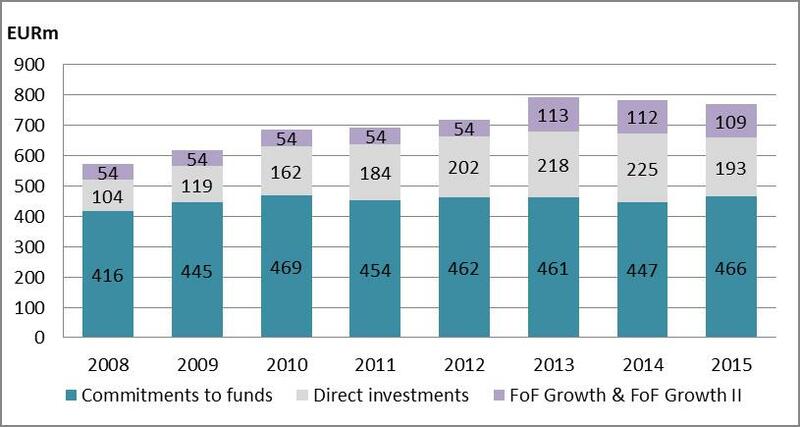 Commitments totalling €66.7m were given to seven new funds and during the year altogether €24.9m went to direct investments. Net returns on private equity and venture capital investments amounted to €108.8m while return on liquid assets totalled €6.4m. Numerous exits on favourable terms, both from direct investments and from funds’ portfolio companies, combined to produce the best financial result in the company’s history. There were favourable developments also in the valuations of both direct investments and funds in the company’s portfolio. 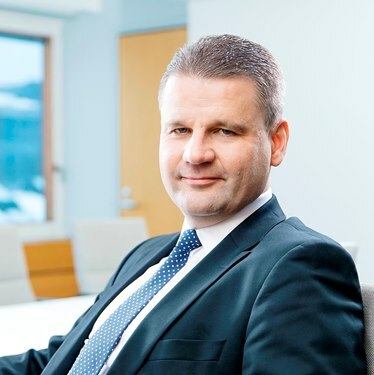 Valmet Automotive expanded its business considerably in 2014. The daily production pace of the Mercedes-Benz A-Class at Uusikaupunki plant had significant rise throughout 2014, with the company turnover exceeded 300 million Euros. AS Tallink Grupp and Meyer Turku Oy signed a contract for the construction of LNG powered fast ferry for Tallinn-Helsinki route shuttle operations. The fast ferry will cost around 230 million euros and will be built at Meyer Turku shipyard for delivery in the beginning of 2017. Kotkamills Oy has a new owner. Eagle Industries Oy was founded for this acquisition. Eagle Industries Oy is owned by MB Funds, Nordic Mezzanine, Elo Mutual Pension Insurance Company, Finnish Industry Investment and company management. The European Investment Fund (EIF) has made significant investments in Finnish venture capital and private equity funds together with Finnish Industry Investment. EIF’s EUR 300 million commitment to Finnish funds demonstrates its engagement for SME financing in the country. LeadDesk, the Finnish SaaS company serving the European call center industry, has raised €5.5 million in its first round of funding led by Dawn Capital with participation from Finnish Industry Investment in order to drive new market growth. Hafslund Nett, Norway's largest power grid operator, has selected Aidon to supply and implement an Automatic Metering Infrastructure (AMI) solution for its 700 000 customers in the region of Oslo and 33 surrounding municipalities. The Finnish government authorised the Ministry of Employment and the Economy to subscribe for new shares and to raise Finnish Industry Investment’s share capital by MEUR 105. The share issue relates to three investment programmes: recapitalisation of the FoF Growth II fund, the Industrial Renewal investment programme, and a new investment programme aimed at attracting international venture capital and private equity investment. The Meyer family, operating the shipbuilding company Meyer Werft in Germany, and the Finnish State acquired Turku shipyard from STX Europe in September 2014. In the case of the Turku shipyard, it was agreed that Meyer had a call option to buy FII’s minority stake in the shipyard. A Committee of Directors of the Board of Mahindra Holidays & Resorts India Limited (MHRIL), India’s leading leisure hospitality provider, approved the exercise of its option to increase its stake in Holiday Club Resorts Oy up to ~88%. Onbone Ltd, the developer of novel casting technology material, Woodcast®, has raised a total of €10 million in a financing round led by MVM Life Science Partners, with participation from Finnish Industry Investment, Finnish private investors and the existing investor Inveni Capital. Kotkamills Oy signed agreements totalling EUR 70 million on equipment deliveries for paper machine 2 to be upgraded in the summer of 2016. The deliveries will be divided between Valmet Paperikoneet Oy and Bellmer Vaahto Paper Machinery Oy. Open Ocean, the early stage venture firm originating in Helsinki, has today announced a €1OOm fund to accelerate the growth of Europe’s most successful software companies. Saltex Oy, a specialist in artificial turf surfaces, and Unisport Scandinavia AB, service provider for sports facilities are joining forces. The current owners of Saltex and Unisport will continue as minority shareholders alongside the majority shareholder, Finnish private equity firm Vaaka Partners, which is the initiator of the arrangement, and Finnish Industry Investment. Valmet Automotive and Mercedes-Benz have announced that Valmet Automotive will start manufacturing additional units of the Mercedes-Benz GLC SUV at the Uusikaupunki, Finland plant. The manufacturing of the GLC will commence in Finland during the first quarter of 2017.